Handmade by Egyptian Artisans from nickel sheets. 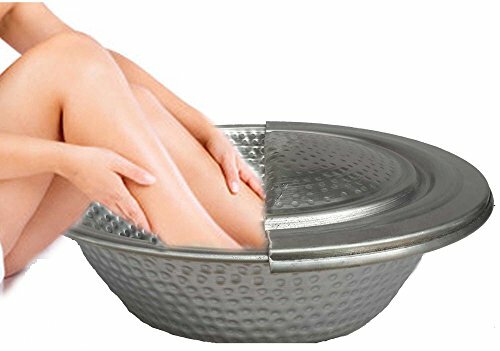 Soaking feet in nickel pedicure bowl can help to achieve a healthier immune system. Easy Maintenance. Light Weight for Easy Handling. Shower, Bath, Wash, Soothe, Relax wax, Shave and smooth your foot. Due to the nature of handcrafting, the bowl might has unintentional few imperfections or variations which add value, interest and characteristic to the bowl.